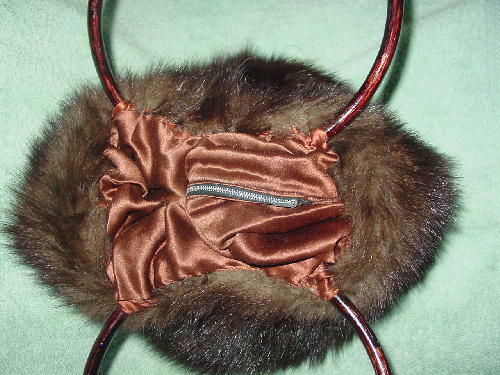 This one of a kind multi-tone dark brown raccoon fur purse is an original creation by Eden. 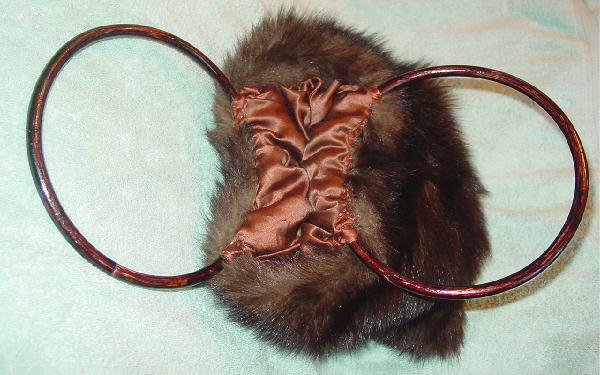 She attached a golden brown synthetic full lining and two circular wooden handles which do turn in place. 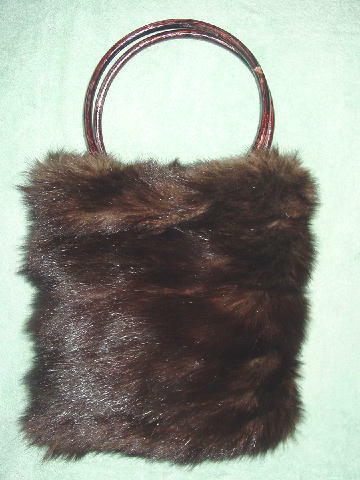 One interior side has a full length vertical thin zippered pocket. 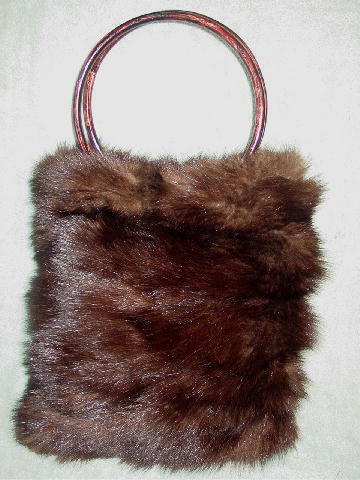 It has nice soft thick fur and it can be carried from daytime into evening.